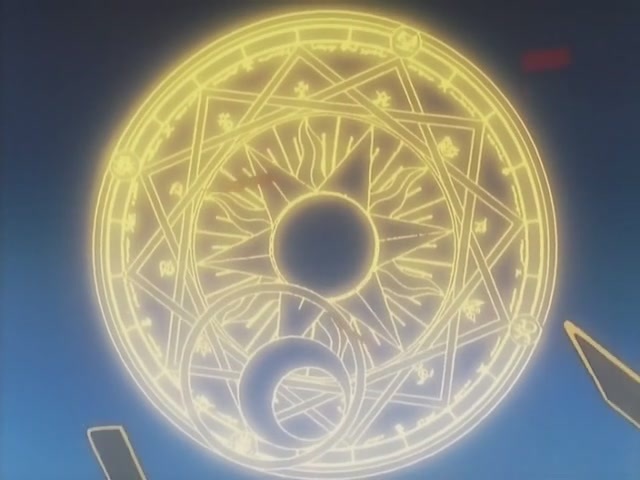 Cardcaptor Sakura is a Japanese manga series written and illustrated by the manga artist group Clamp. 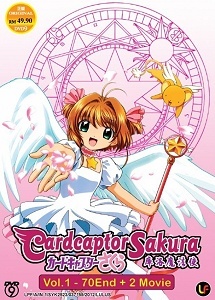 The story focuses on Sakura Kinomoto, an elementary school student who discovers that she possesses magical powers after accidentally freeing a set of magical cards from the book they had been sealed in for years. The series was adapted into a 70-episode anime TV series. 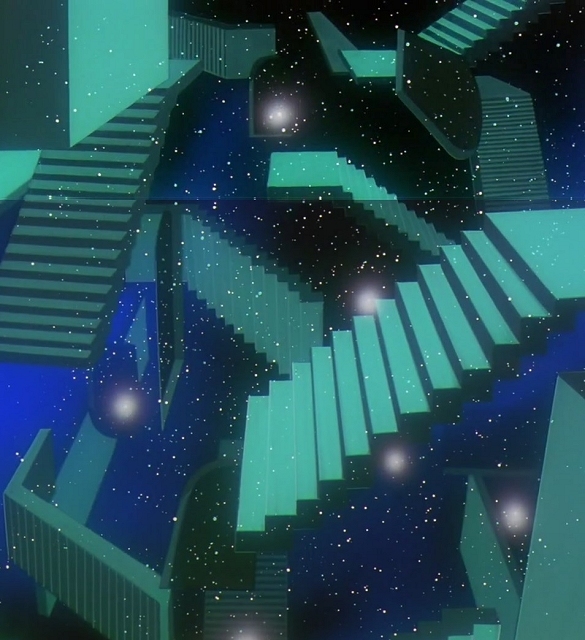 In episode 26 there's transforming labyrinth, which become in something like Escher's Relativity. Below, you can see a large image which was composed from several frames. A symbol with impossible interconnection of three squares passes through whole TV series. There's another strange construction from many stairs in episode 66.